Nov 9, 2016 /2 Comments/in Success Newsletters /by Patrick Wanis Ph.D. 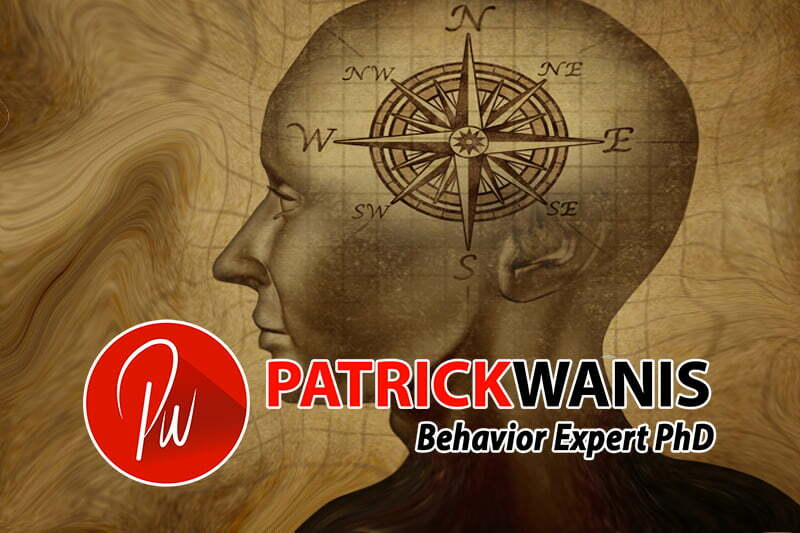 In this week’s Success Newsletter, I would like reveal the 4 key personality and behavioral styles as well as help you quickly identify yours. A client once told me “I don’t even know what a healthy relationship is or looks like!” Before you fall head over heels, be alert for signs that your partner truly isn’t good enough for you. There are 6 types of love – Eros, Storge, Philia, Agape, Passionate, and Companionate Love. You can learn more about these in this video https://youtu.be/zXO86gGCacY There are also 3 components to achieve and experience Consummate Love – the ideal love for which we all strive, the complete, whole and satisfying love: Intimacy, Passion and Commitment. Watch the video! Now, let’s talk about the 4 key personality and behavioral styles as well as help you quickly identify yours. Which of these 4 behaviors sums you up best: You thrive in positions of power or dominance; you love to talk and are persuasive; you are a great team player and listener; you are a deep thinker who focuses on logic and accuracy? While everyone is unique, behavior can be classified by 4 major styles recognized as Dominance, Influence, Steadiness and Conscientiousness – DISC. Dominance relates to the way we deal with problems – control, power and assertiveness. Influence relates to the way we deal with people – social situations, communication, persuasion and influence. Steadiness relates to the way we deal with pace, change and levels of activity – patience, persistence, and thoughtfulness. Conscientiousness relates to the way we deal with procedures, rules and regulations – structure and organization. We all engage these 4 styles with a particular intensity and we adapt to certain situations and their unique requirements. However, the level of intensity of our natural behavioral responses in each of these styles determines which is our key style or blend of styles. In other words, if your preferred style is to be around lots of people and talking and influencing, then your primary behavioral style is I – Influential. It must also be noted at this juncture that although DISC and other such assessments (Myers-Briggs, 4 Temperaments, etc.) are all referred to as “personality tests”, they are not personality tests. Personality is the combination of thoughts, feelings and behaviors. The Myers-Briggs assessment tends to focus on the internal thoughts while DISC focuses on external, observable needs-motivated behavior. Also, none of these are actual tests, because there is no correct answer or perfect score; nor is there a perfect behavioral style. Think of someone you know who is assertive, to the point, and wants the bottom line; Dominant (D Style) people are forceful, direct, firm, results-oriented and strong-willed. They are motivated by the need for achievement, and measure personal progress by results. The Dominant (D Style) focuses on tasks and results. He/she is independent, persistent, direct, energetic, busy and fearless; someone who tells it like it is and yet fears being weak, losing control or being taken advantage of. You will often hear them ask “What?” The Dominant style perceives himself as more powerful than the environment, and perceives the environment as unfavorable. Think of someone you know who is a great communicator and friendly to everyone he/she meets; Influence (I Style) people are outgoing, enthusiastic, optimistic, friendly, lively, high-spirited and talkative. They are motivated by the need for social recognition, and measure personal progress by applause and praise. The Influence (I Style) is social, spontaneous, persuasive and friendly. He/she is energetic, busy, optimistic, distractible; someone who is imaginative, focused on the new and the future. Influence Style people have challenges managing time, are focused on people before tasks, and they fear rejection. You will often hear them ask “Who?” The Influence Style perceives himself as more powerful than the environment, and perceives the environment as favorable. Think of someone you know who is a good listener and a great team players; Steadiness (S Style) people are steady, even-tempered, accommodating, patient, loyal, humble, tactful and practical. They are motivated by the need for acceptance and stability, and measure personal progress by appreciation. The Steadiness (S Style) is consistent, dependable, likes stability, is accommodating, and seeks peace. He/she likes to help and support others, and is a very good listener and counselor offering empathy and compassion. The Steadiness (S Style) puts people first before tasks and has close relationships with a small circle of friends; they fear loss of security and change. You will often hear them ask “How?” and “When?” The Steadiness (S Style) perceives himself as less powerful than the environment, and perceives the environment as favorable. Think of someone you know who enjoys gathering facts and details, and is thorough in all of his/her activities; Conscientiousness (C Style) people are reserved, private, precise, sensitive, analytical and systematic. They are motivated by the need for correctness, and measure personal progress by getting it right. The Conscientiousness (C Style) is slow, a critical thinker and perfectionist. He/she is logical, fact-based, systematic, organized, and follows rules. The C Style doesn’t show feelings and is private, bonding only with a few people. The Conscientiousness (C Style) puts the task first before people and fears being criticized and being inaccurate or wrong. You will often hear them ask “Why?” and “How?” The Conscientiousness (C Style) perceives oneself as less powerful than the environment, and perceives the environment as unfavorable. As you become consciously aware of and embrace your style and behavioral characteristics, you will gain more confidence, raise your self-esteem and become more productive. Also, you will learn to read other people easily and enhance your skills in communication, selling and relationships. If you need assistance to understand yourself and/or understand your partner and relationship, book a one-on-one session with me.